Sunrise unfolds over the peaks of the Mummy Range on a blustery first day of winter. 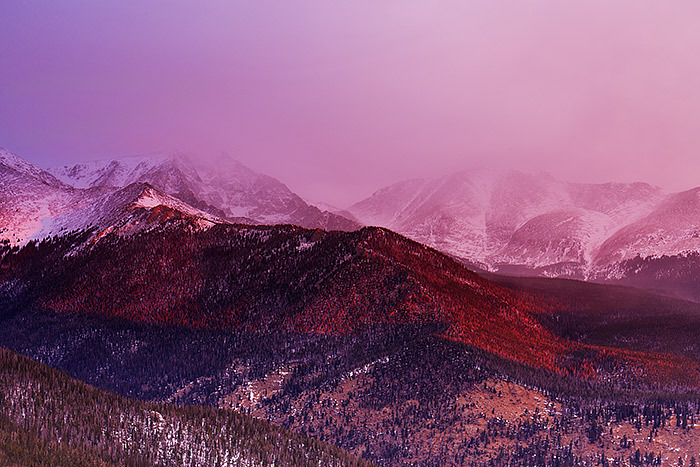 Ypsilon Mountain is lighted in a warm magenta hue as snow squalls periodically obscure the high peaks of Rocky Mountain National Park. Photo © copyright by Thomas Mangan.